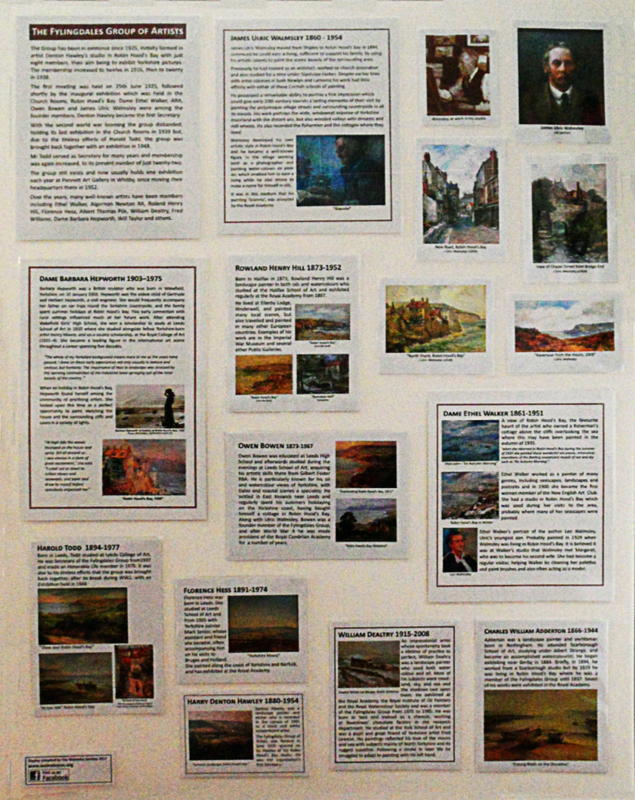 A new display about the Fylingdales Group of Artists has been made for the Robin Hood's Bay Museum Trust, and can be seen in the museum from Easter 2017. Researched and prepared by Marilyn Barraclough of the Walmsley Society, it features a selection of the better known members of the Group who are now deceased, together with paintings they produced ‘at Bay’. James Ulric Walmsley was a founder member of the Group when it formed in 1925, and also included in the display are Ethel Walker, Barbara Hepworth and Owen Bowen.